Paula Reeder is a licensed massage therapist who believes in the importance of bodywork for "regular maintenance." She offers medical and therapeutic massages to enable clients to carry out their daily activities—whether work or play—in a pain-free, flexible condition. Paula is a pain relief specialist, and has received instruction in a variety of massage modalities to accomplish client's personal goals. While she is trained in myofascial release, deep tissue massage, sports massage, pregnancy and postpartum massage and Swedish massage, when asked what methods she uses, her answer is simple: the "Paula Reeder" technique. 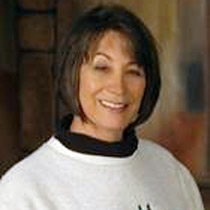 In addition to these traditional bodywork forms, Paula is also certified in Primal Reflex Release Technique (PRRT), a system used to alleviate a number of muscular problems. Paula is one of only two individuals in a 250-mile radius trained in PRRT, and therefore fulfills a very specific and focused need in the massage community. Through her private massage practice, Professional Body Kneads, Paula customizes massage services to treat each client's health and wellness requirements. Whether muscle ache, sprain, strain or pain, none of them stand a chance against her effective bodywork treatments.